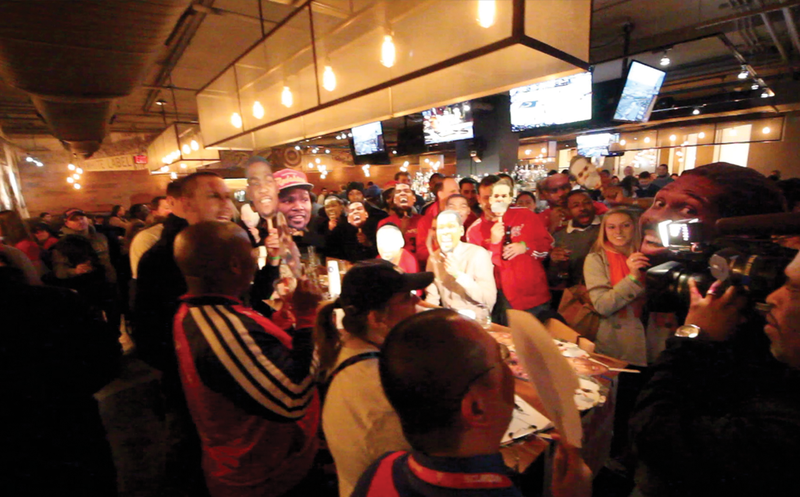 Washington Wizards Fan Happy Hour: Join Us For Our Video Message To John Wall To Congratulate Him On Being An All-Star Starter! 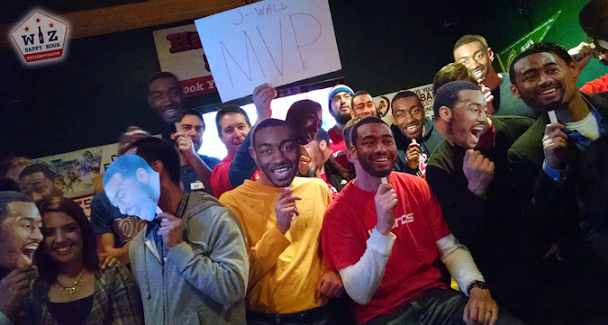 Join Us For Our Video Message To John Wall To Congratulate Him On Being An All-Star Starter! John Wall has done it! He has won the fan vote and will be starting in the 2014-15 NBA All Star game coming up. We've been supporting John all season (see above photo) at bars throughout DC, MD, and VA and now we are going to get to support him during All-Star weekend! Join us on Saturday night at our Wizards Power Hour Watch Party and be a part of something we think is going to be pretty awesome. At halftime of the Wizards @ Trailblazers games, we will be all gathering the entire bar of Wizards fans together to record a quick Congratulations video to send to John (somehow)! We are also planning (if we have space to let everyone do an individual 10 second message as well and compile them all together in a video congratulations card to the Wizards All Star. So join us (RSVP) Saturday and be a part of something we think is really cool. If we get enough people involved maybe he will see it! If you can't make it feel free to record your own (10 seconds only) message on YouTube and tweet or email me so I can pull it down and add it to the vid! Let's see how many we can get! The event takes place in Adams Morgan at Ventnor Sports Cafe on Saturday Night (1/24). It starts at 9pm with photos, individual John Wall Congrats Messages, and a 1 hour beat the buzzer power hour featuring specials on beer & Polish Hammer Punch. 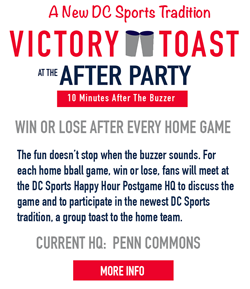 Once the game begins the power hour will vanish but there will be drink specials all night long to go with lots of prizes, a free giveaway for the first 50 fans, Wizards game audio, a late night surprise and much more!